There are many places we expect to see surveillance cameras such as a bank, casino or store. In these places it’s acceptable to have the ominous watchful eye of a camera. However we wouldn’t expect to see cameras at a restaurant or at the office or in your bedroom. Cameras in those places aren’t surveillance cameras anymore they become spy cameras. Red hot personality and celebrity chef Gordon Ramsay recently said he spies on his daughter with a spy camera. Whether he was kidding or not isn’t clear, but what do we all think of this? Even if it’s well meaning, does protection trump privacy these days? This is where you have to make your own personal choice about what is more important. People don’t necessarily set up a bunch of spy cameras in their house with the purpose of spying on people; they simply want to make their home a little more secure. 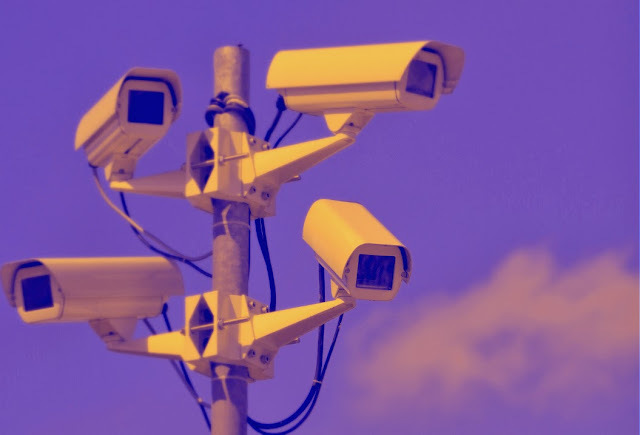 Let’s go through some of the good and bad examples of surveillance cameras. There are two reasons why surveillance cameras are extremely helpful; first they can stop a crime from happening. Most people who see a camera will not go through with a crime if they intended on committing one. Second, if the crime was committed the camera can help identify the suspect and bring clarity to the crime scene. Many cities have spy cameras in intersections, only we don’t call them that, we call them traffic cameras. They can be extremely helpful in catching someone running a red light or finding out who was at fault for a car accident. Placing a camera outside your home and at some of the entrances can be very handy if you happen to live in an area where there are a lot of break-ins. With a camera outside your home you can pick up a person who could be acting suspicious or someone who doesn’t belong in your neighbourhood. Most burglars simply don’t walk in a home on a whim and decide to rob someone. They take their time to see if anyone is home and then decide if they should go in or not. If your home gets broken into having a camera placed outside in full view of the street and main entrance can help you find out who the burglar is. Along with an alarm system your home can be very safe from burglaries and other unwanted guests. With a camera placed inside your home, focusing on the door, you can see who is coming in and out of your house. This can be helpful if you live with someone that you believe is acting suspicious. You can even hook your camera up to your Skype account and monitor your home while you’re away. It doesn’t take much to make a simple surveillance camera and turn it into a spy camera. It’s a matter of where you place the camera. The bad spy camera is one that is used to invade someone’s personal privacy. Would you want your privacy to be threatened? The answer probably is ‘No! Definitely not”. Many people don’t like the feeling of being watched when they are in a public space and this is a problem you will run into if you decide to put up a surveillance camera in your business. Cameras can help deter people from stealing, however it doesn’t stop them. When this happens, hopefully you can use the footage to identify the perpetrator when they come back into a store again. This leads to the second point of why some people don’t like surveillance cameras. Some believe that the footage will be used inappropriately. There are many videos on Youtube from surveillance cameras that show embarrassing moments of people. Most of those unlucky people probably have a problem with those moments being shared with billions of online users. Take into consideration cameras on cell phones and the use of social media. Some of the most intimate and embarrassing moments can be caught on tape using cell phones and posted on Facebook, Instagram and Twitter. One innocent post can ruin someone’s career and this is a big concern that some people have with cameras. The idea of the bad surveillance camera depends on where it is placed and what people are doing with the footage. This is where ethics come into play and where privacy should always be respected. If you’re looking into surveillance cameras for your home or business, there is a wide variety to be found online. The location of the camera can have a positive or negative effect on people’s lives. That’s a truth there. There is nothing wrong with wanting to keep your family and neighbourhood safe but when you pervert the ethics of privacy then it can become a problem. Do what you want, but make sure you know exactly what that is before you do it. It’s all up to you.